Stone, Hal and Sidra. 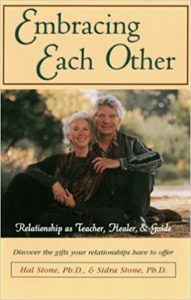 Embracing Each Other: Relationship As Teacher, Healer and Guide. Novato, CA: Nataraj Publishing, 1989. The Voice Dialogue method of processing voices in relationship.